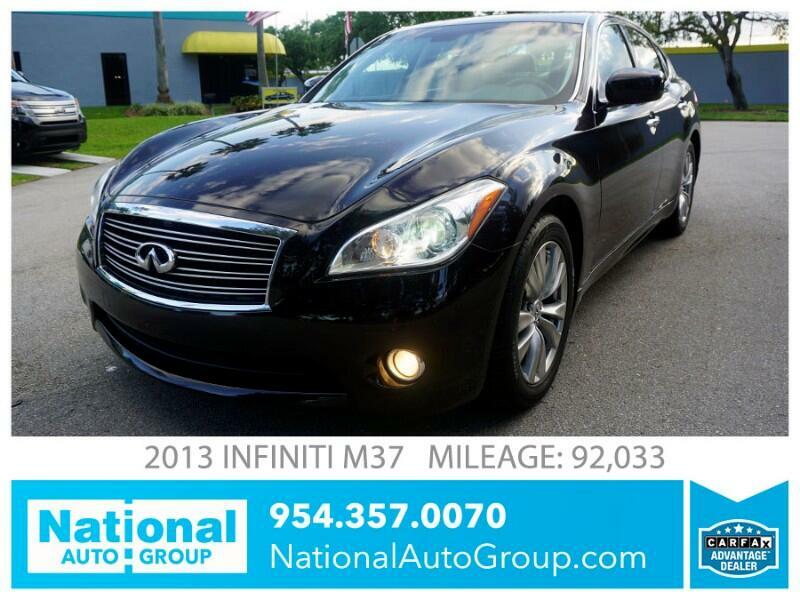 Beautiful 2013 Infiniti M37, Black on Black, fully loaded with Navigation, Backup Camera, Front & Rear parking sensors, Bose premium sound, Speed sensing cruise control, Power heated & cooled seats, sunroof & moonroof. Vehicle is in excellent exterior and interior condition, no dings or dents on the body, no wears or tears on the leather. Car is in perfect mechanical condition. Vehicle is fully serviced with new brakes, oil & filter. Extremely low maintenance reliable full size sedan. This car is priced well under retail as well as Trade-In.